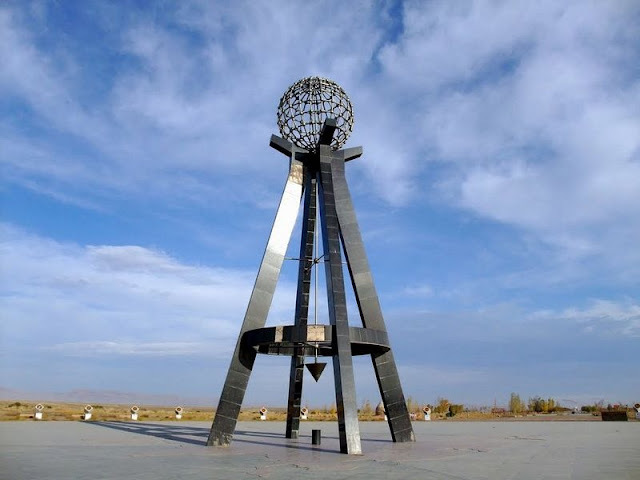 If you were to take the entire continent of Asia and balance it on a pinhead, you would have to put the pin at a place called Kyzyl in Russia — at least, that’s what being the geographic center is supposed to mean. Not everybody agrees though, especially the Chinese who claim that the real geographic center is located near Ürümqi, in Xinjiang province. 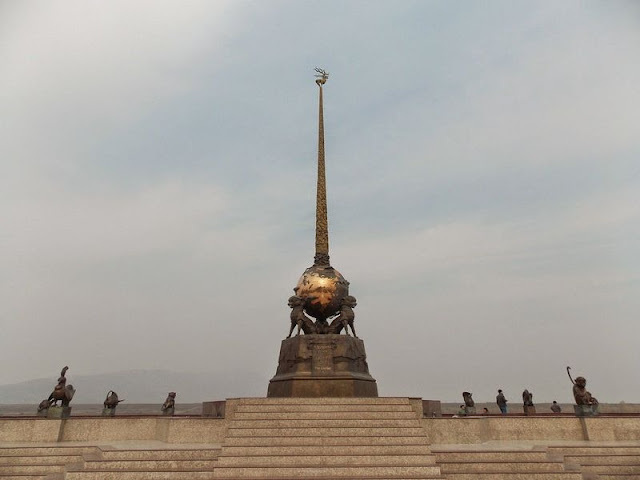 But because its incredibly hard to find the exact geographic center of a landmass as expansive as Asia, nobody has challenged either claim. 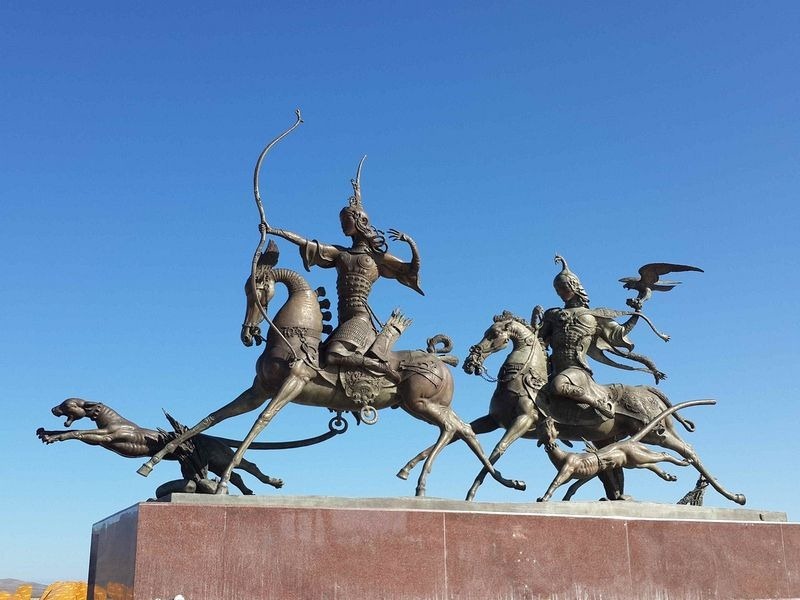 The city of Kyzyl is located at the confluence of the rivers Great Yenisei (Bii Khem) and Little Yenisei (Kaa Khem), in Tuva Republic, Russia, approximately 3,700 kilometers to the east of Moscow. Despite its fame, Kyzyl is barely accessible. There are no direct flights from Moscow and no connection with the Trans Siberian railroad. 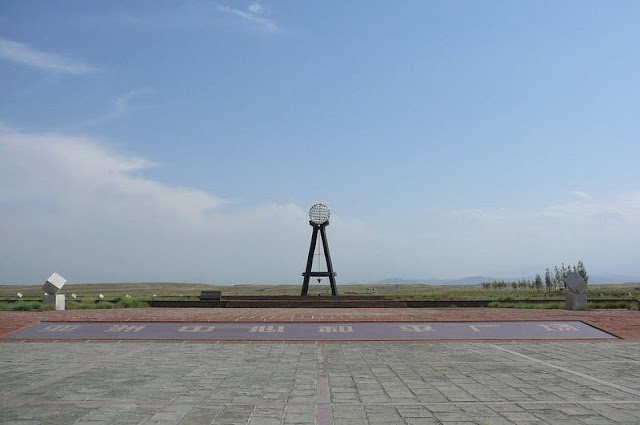 The nearest major city is 400 kilometers away. 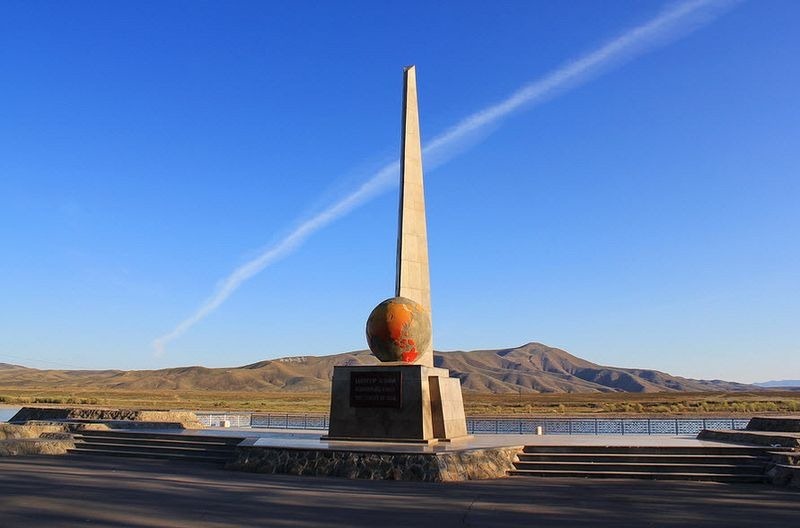 The Centre of Asia Monument is located in the Tos-Bulak area south of the city, on the bank of the Yenisey River, where the Great and Litle Yenisey Rivers join into the Great Yenisey. 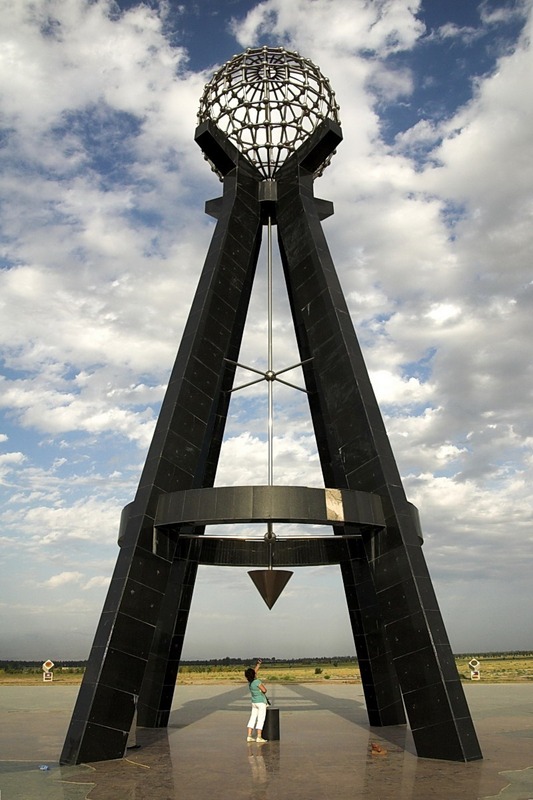 The original monument was built in 1964. 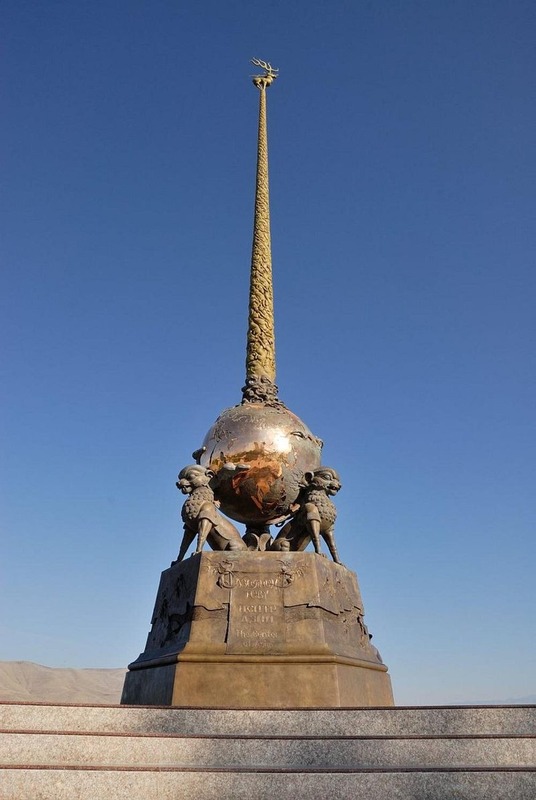 In 2014, on the occasion of the 100th anniversary of unification of Tuva and Russia, a new monument was erected in its place. 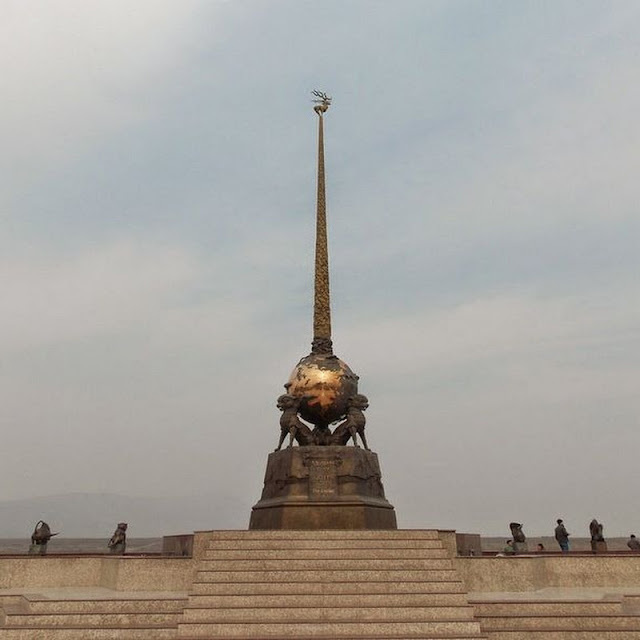 The monument is represented by an ensemble of three lions that hold a globe surmounted by a spire.